Sporty closed-toe sandal for beachcombing and stream hopping. 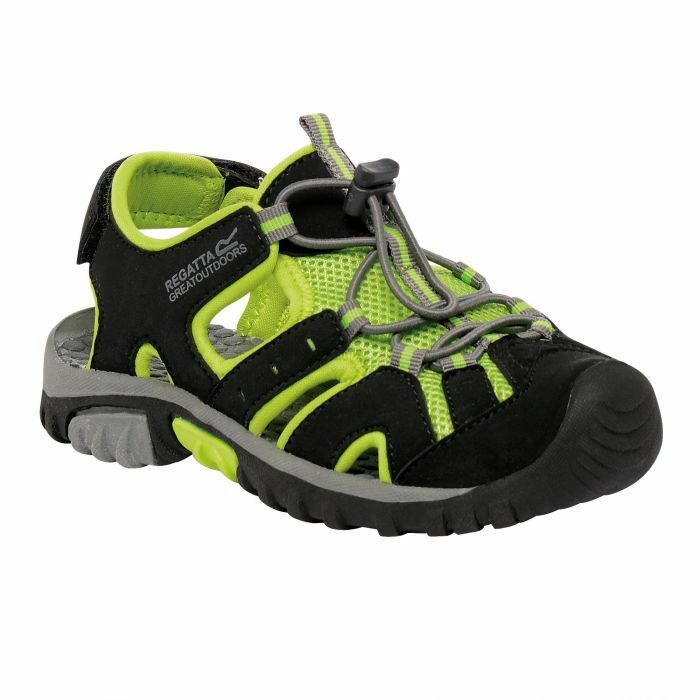 Made from light and airy nubuck/mesh with a built-in front bumper to protect little feet. The shockcord lacing system provides a secure fit that's easy for small hands to adjust. A water-friendly footbed and super grippy sole helps to give them a sure-footing. Weighs 198 grams.